Did you know that the Canadian government wants to help you send your son or daughter to an Adventist university? (Actually, any university—but Adventist education is no exception.) Could you use some free money to put toward a future higher education bill? If so, the Registered Education Savings Plan, or RESP[i], is for you. One of the first things my wife and I did after our daughter was born was to start RESP contributions for her university education. Now that she is only a few months away from high school graduation, we are so glad we did! 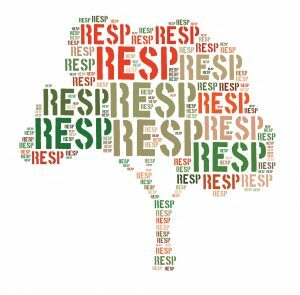 For every $100 put into the RESP account, the benevolent Canadian government added another $20 to it (and sometimes even up to $40). Investments and personal finances are my hobby, but it should be easy for anyone to agree that a guaranteed 20 to 40% return in the first year is a great investment! The news gets even better for families with a net income of less than $46,606. There is a Canada Learning Bond which jumpstarts an RESP with $500 and adds another $100 each year until the child is 15, without the parent having to contribute anything! This is potentially $2,000 (plus growth) in additional free education money. Some provinces add other bonuses. British Columbia gives $1,200 for any resident who applies between the child’s sixth and ninth birthdays, regardless of income, no contribution necessary. Saskatchewan and Quebec give additional grants corresponding to 10% of annual RESP contributions made by anyone living there. So, can my child go to Burman University (our only Adventist university in Canada) without needing student loans? As detailed on their website, the cost for a dormitory student taking a full load is $20,764 per year. [v] Over four years, this comes to $83,056. (By the way, I hear they also have many scholarships to lighten the financial load.) As seen in the example above, the government could easily provide over half of the cost to go to Burman and could provide most or all of it, depending on the RESP contributions and rate of return earned over the years! In case you didn’t know, student jobs still exist, both during the school year and summer. At $15 per hour (Alberta’s minimum wage), a student can easily make over $9,000 during the summer (May to August) and $4,000 during the school year. Combined with free government money and an RESP, this is more than enough to pay for an Adventist education at Burman University. As an alumnus, I can say from experience that it is well worth the investment! Jeff Kapiniak is an auditor for the General Conference Auditing Service. 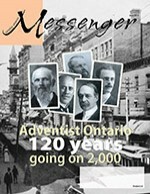 All content on this site Copyright © Canadian Adventist Messenger, 2010-2019, unless otherwise noted.